and if not, an additional HDMI splitter is needed. No splitter is needed with this modulator. 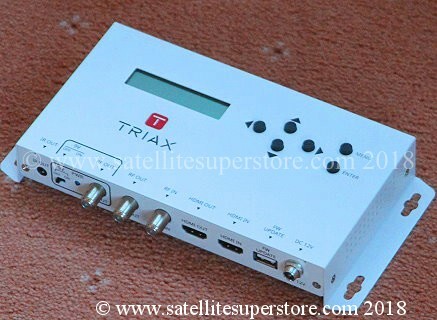 The HD modulator, has an HDMI input and a coaxial cable output. Many houses already have a UHF distribution system. Shipping options. Discounted shipping on all web orders. so choose "Mainland UK delivery included" - UK shipping option No 1 (or priority options 4-7). For "UK offshore islands including Northern Ireland" many items including dishes up to 1.0m choose the �15 - UK option No 2.
International - outside of the EU - choose the "International shipping quote by e-mail" shipping option. Catalogue Contents Page. A summary of all pages. More products. ADVICE Pages. Frequently Asked Questions. (FAQs) Read and learn! Fixed satellite dishes menu page. Motorised satellite dishes menu page. 2, 3 or 4 satellite on a fixed dish menu page. Clear transparent dishes menu page. Motorised satellite systems menu page. Satellite dish motors menu page. Caravan / Motorhome / RV Satellite menu page. Ku, Ka, Universal and programmable LNBs menu page. C Band LNBs and feedhorns menu page. French TV and Italian TV receivers menu page. Twin tuner receivers menu page. High definition receivers menu page. Satellite finder meters menu page. Wall mounts and ground stands menu page. Diseqc switches and motors menu page. Optical LNBs and equipment menu page. TV, FM and DAB aerials menu page. Index of all products menu page. 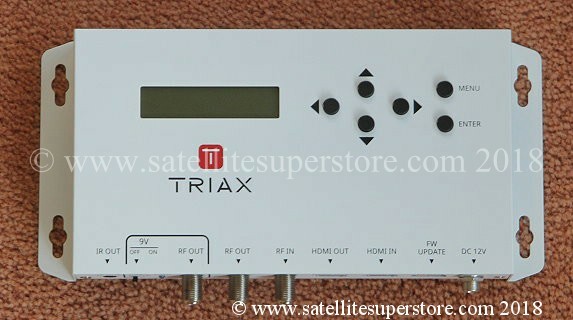 This site includes many products that are exclusive to the Satellite Superstore. �	Products that we manufacture (e.g. We have manufactured heavy duty wall mounts and ground stands since 1991). �	Selected products which have our own Primesat brand name and have been prepared to our specifications. �	Selected products where we have been appointed the authorised UK or European distributor by the manufacturer. www.primesat.eu is an information site. Here you will find full specifications and many detailed pictures. To buy any of these products, simply order them on this web site. Satellite Museum. A museum of vintage satellite receivers. For old satellite receivers with knobs on and read about "A History Of Satellite TV". Also see www.rewindmuseum.com. A Museum of vintage consumer electronics. It is well worth a visit. great products, advice and it's own museum. You may be interested in two other web sites. 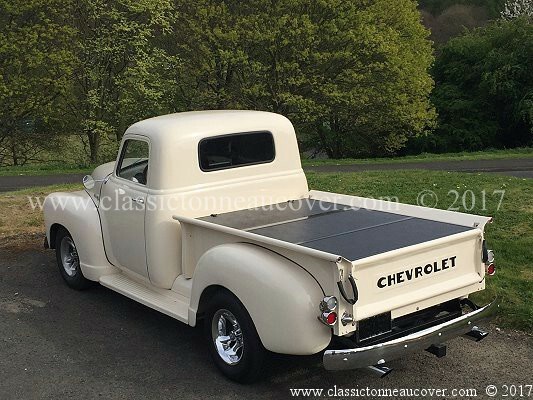 This web site shows all of the restoration process and the modifications to this truck. 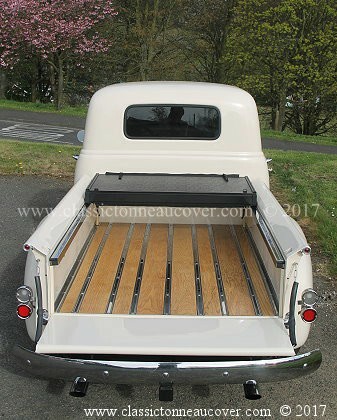 at www.classictonneaucover.com for the 1947-53 Chevy truck. Unlike many other companies we are happy to answer questions on the phone. International Tel. + 44 1207 544664. Before sending questions via e-mail please check-out our Frequently Asked Questions as this could save time. click here to go to our contact forms. Copyright © 2019 Vision International. All rights reserved.